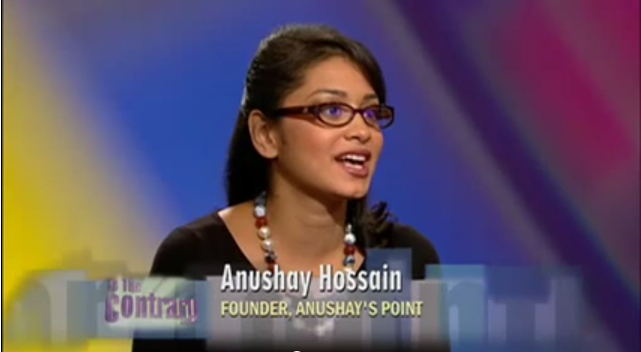 Making my US TV debut on PBS’ To The Contrary, the famous American show providing analysis on women’s issues by women. 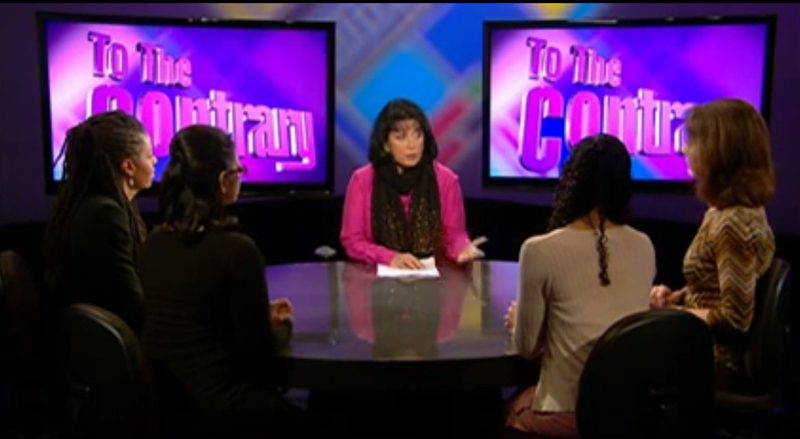 I was so honored to be asked to be a panelist on the renown PBS show, “To the Contrary,” and get the chance to talk about sexual assault on campus, gender roles & Afghan women’s rights with the one and only, Bonnie Erbe. I could not have wished for a more amazing channel to make my US TV debut, and was so privileged to be on the same panel as such accomplished women. So excited to have this back-shot of the panel. I still cannot believe I was on this show. I am second from the left. The discussion got heated at times, but I feel strongly I managed to remain consistent in my message that whatever the issue, wherever it is taking place, we must make protecting the rights of women our priority. If you missed the show you can catch it below on YouTube, or on PBS’ website. I hope you enjoy! Do you agree or think, to the contrary? Next PostWomen and Multitasking: Asset or Enemy?